Surf boards for hire Waikiki. 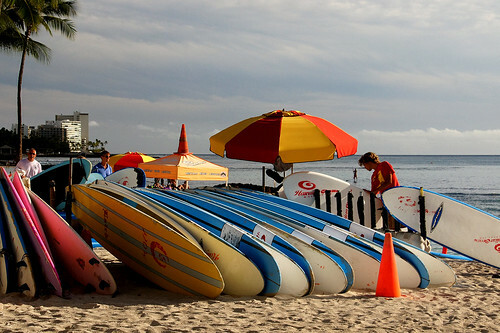 So, there are a lot of options on surfboard rentals on Waikiki beach. Lots of spots right on the beach actually, so why would you go anywhere else.